I often get questions about kitchen tools and equipment. 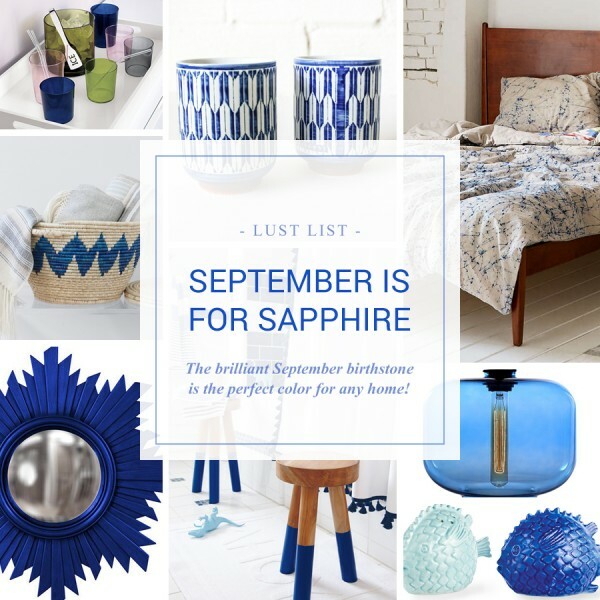 There are so many options out there that it can be daunting to choose the right one that works for you, right? 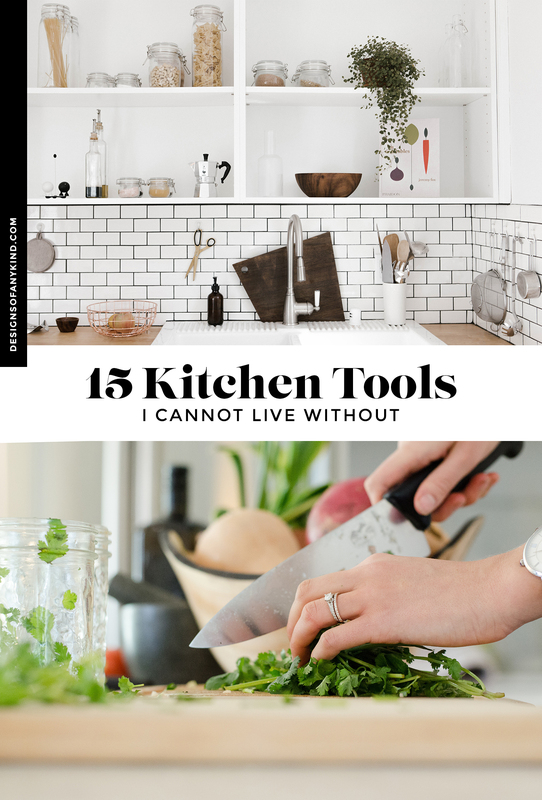 That being said, today I decided to share 15 different kitchen tools that I use on a regular basis in my kitchen. They are not my basic, essential tools all kitchens really should have, such as cutting boards, knife sets, pots & pans, mixing bowls, measuring cups, etc. Maybe one day I will do a post for the “essential kitchen”. However, until then the following items are tools I’ve grown to love and find it hard to live without. They’ve either been with me since my first day in the restaurant industry or are recent purchases that have me wondering how I managed through life without them, haha! So without further ado, let’s dive in. The one downside to a cast iron pan is the maintenance. It’s not a pan you can just throw in the sink and soak for even a moment. This pan is a rust magnet! 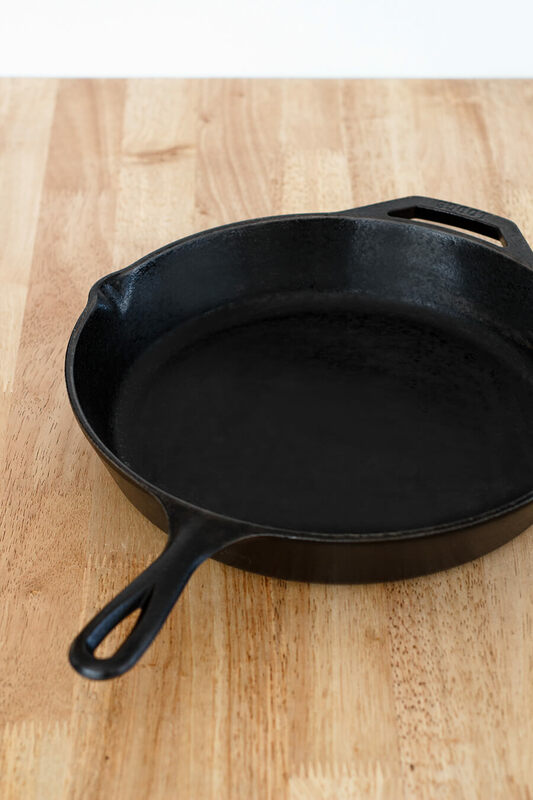 Therefore, being diligent about rinsing off the pan right after cooking, drying it thoroughly and rubbing it down with a light coat of oil is essential to proper maintenance. The immersion blender was one of those things on my kitchen wishlist for the longest time. 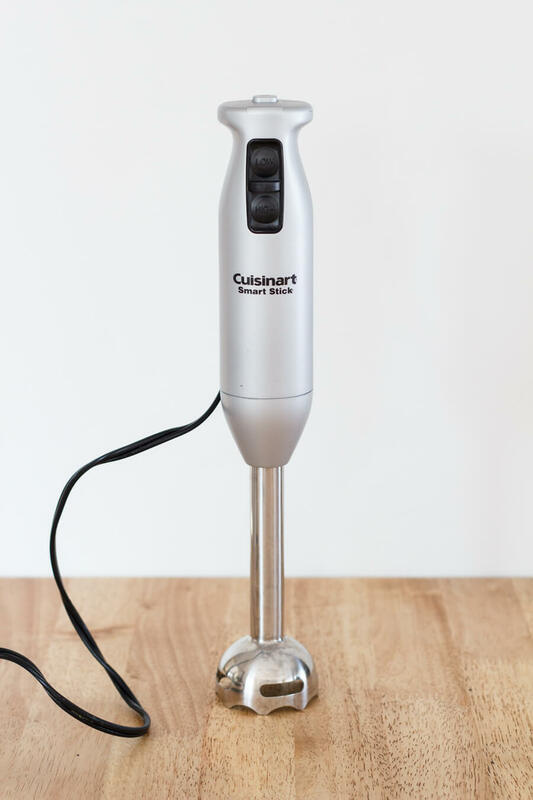 I’ve used them countless of times in the restaurants (the massive industrial-sized versions) However, it wasn’t until one day while making butternut squash soup in a basic blender (fuming over the mess it made) that the blender base suddenly melted… it just fell apart. Panic ensued! I was in the middle of a blog post and needed to finish everything before the sun wit’s down (its all about natural light for photos, people.) I jumped on Amazon Now and in 2 hours was back to making my deliciously, cream soup! My new immersion blender made soup-making a breeze and I’ve never looked back since! If you are looking for a great introductory blender and food processor combo, but don’t want to pay the hefty prices that come with individual machines, then this is the tool for you. It’s also an ideal situation for those with apartments, as the Ninja doesn’t take up as much room. The food processor is on the small size, but perfect for smaller jobs. 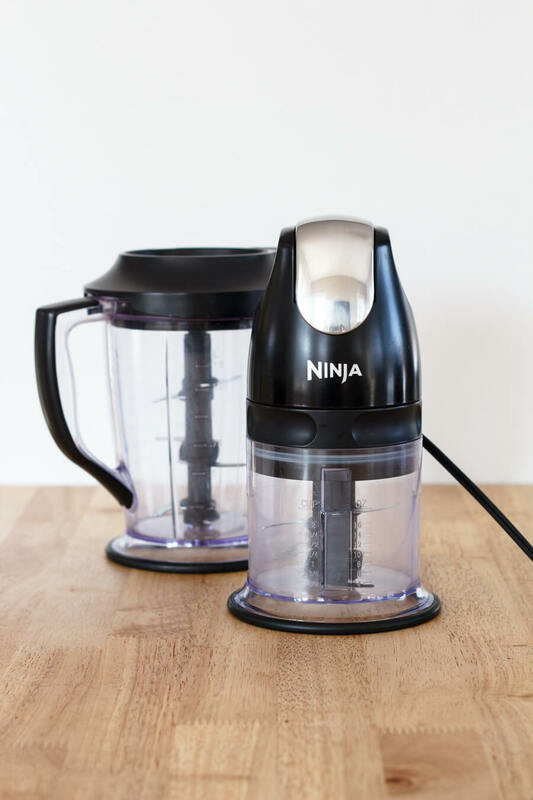 I do own a full-size food processor for larger quantities, but it’s heavy to bring out, so the weight of the Ninja is another plus. The blender does a pretty great job at smoothies! I’ve put frozen fruit in there and the Ninja blended it without any problems. Obviously, it doesn’t compare to a Vitamix blender, but I currently don’t feel like spending $500. This guy has been rocking it for the past 2 years, so I think I definitely got my money’s worth. There’s nothing more frustrating than food sticking to your sheet pan, or using an insane amount of oil just to avoid that same issue. 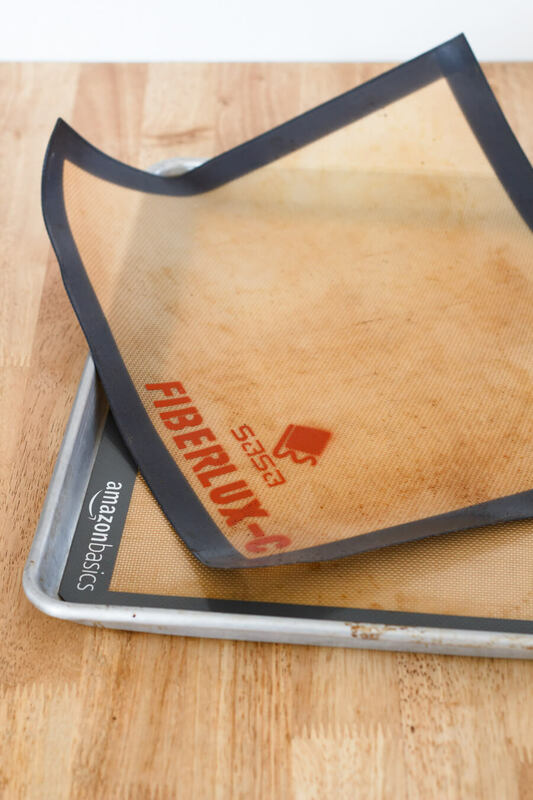 These non-stick baking mats are the perfect, reusable solution for any cooking or baking project where cooking on a sheet pan is required. The first Silpat I purchased was in Paris while visiting for a food show. Back then, Silpat was not well known here in the states. Thank goodness things have changed and every chef and home cook have this great tool readily available to them! Just make sure your Silpat fits the pans you use. My “Paris” Silpat is an odd size and doesn’t work with my sheet pans. 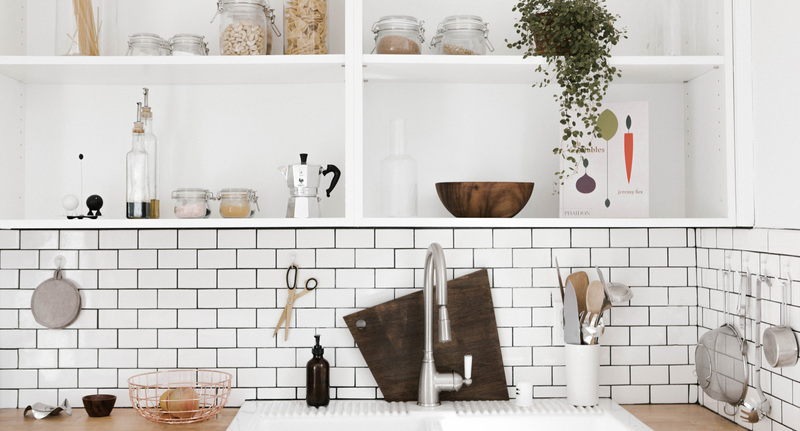 A kitchen is not complete without some good strainers! 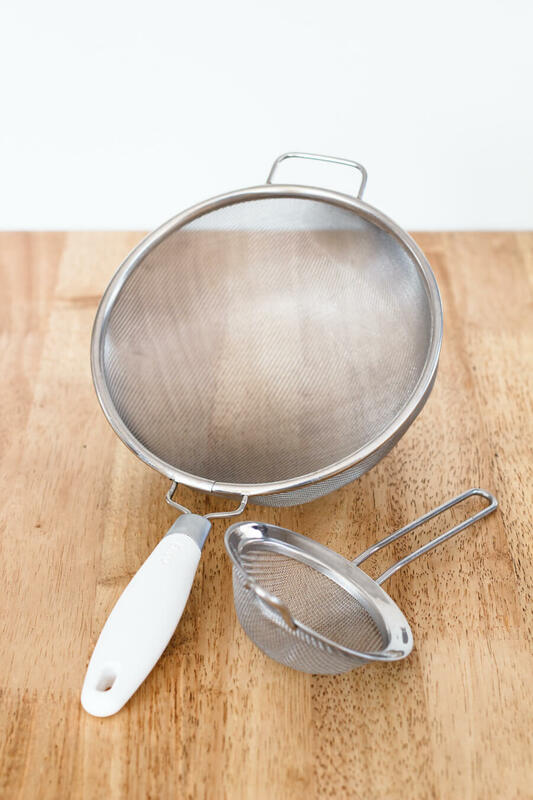 I like to keep a variety of strainers in different sizes for straining sauces, soups, and sifting flours or powdered sugars when baking. I like a finer mesh to my strainers to really make sure larger particles can get through. For extra fine straining, a few layers of cheesecloth lining the interior of the strainer helps that much more. In culinary school, we were always taught to use a “steel” for sharpening our knives. You know that odd, long metal rod that comes with your typical knife set. Well, I hated using that thing and always tried to convince one of my chefs to sharpen my knife for me. 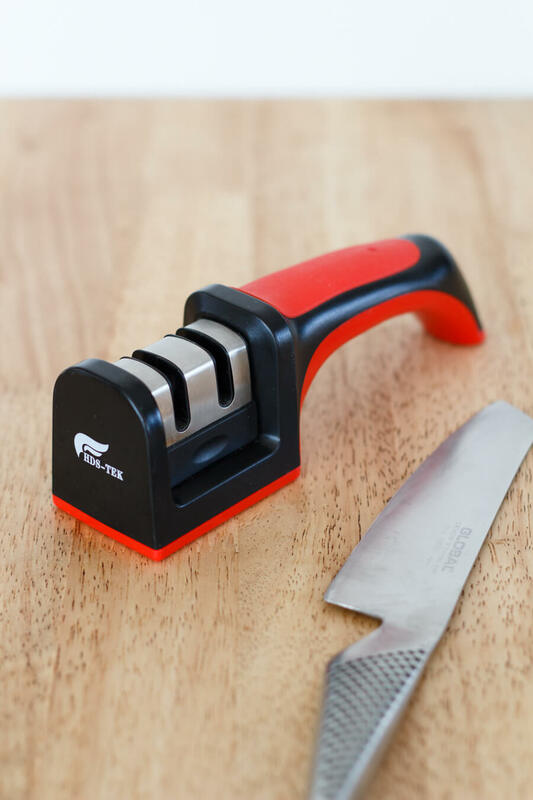 Thank goodness one wise chef insisted that I go out and simply purchase a knife sharpener. Life changing! From then on my kitchen has one to two knife sharpeners laying around. Like I said, no one likes a dull knife! P.S., after some practice, I finally mastered the art of sharpening a knife on a steel. But I find an actual sharpener does a far better job. This was a gift from an incredible friend and remains one of my most treasured kitchen tools. I like that it’s a bit smaller than a normal chef’s knife and feels great in your hand. The key factor to this knife is its sharpness. It can cut through just about anything. 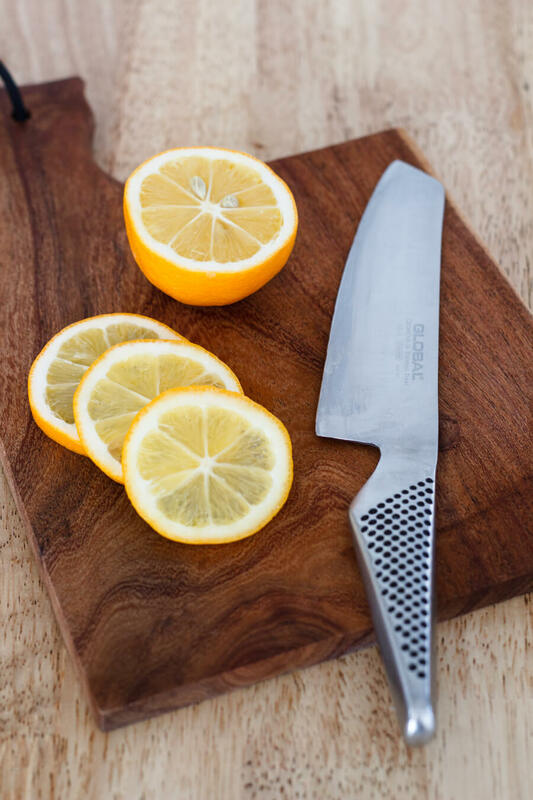 No one likes a dull knife! After the fifty-millionth time attempting to juice a lemon, only to discover a paper thin cut somewhere on my hand… talk about annoying pain! Citrus and cuts do not go well together, so I decided to invest in a citrus juicer and it changed my juicing game, haha! 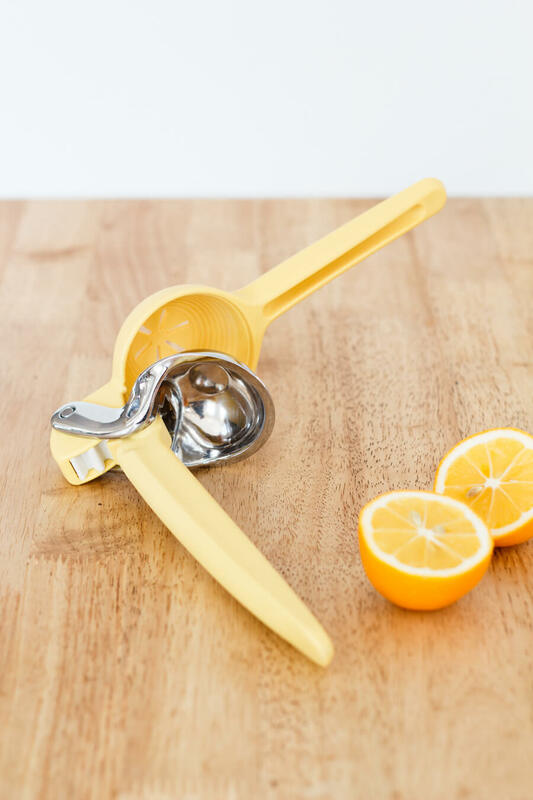 This juicing gadget comes in a variety of sizes for juicing lemons, limes, and even oranges. This is a must for anyone looking to make lemon curd because hand-juicing an entire tree of lemons just for one cup of lemon curd is insane, right? This spatula, from OXO, is different from most spatulas as most of the handle and the “rubber blade” part are a solid piece. There’s nothing more annoying to me than trying to mix up a stiffer batter and the handle separating from the blade. I have a ton of spatulas, but this one is usually my go-to. 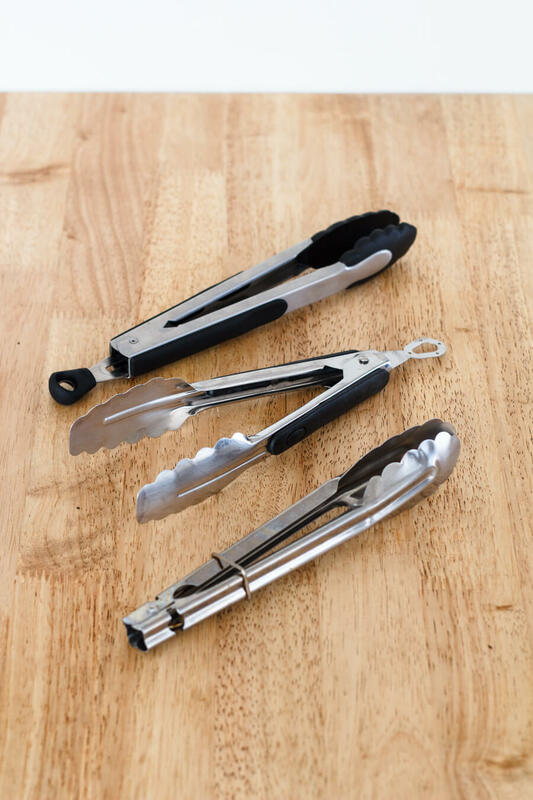 This is kind of a basic kitchen tool, but I use them every single time I cook! Therefore, having a bunch of them is really important for me. Not only are they essential for so many things in the kitchen, they pull double duty for serverware when you are serving your family or guests. That’s why I usually have a few nicer tongs on hand as well as cheap restaurant ones. 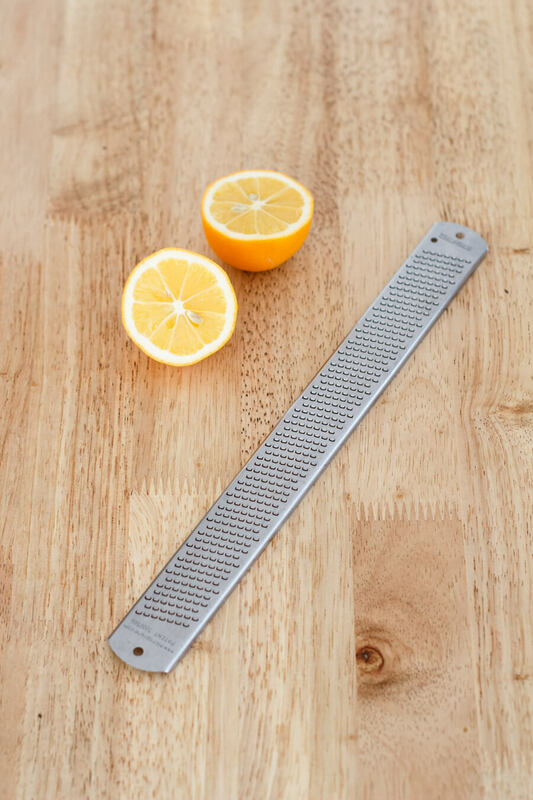 The thinness of this spatula is what makes it so essential in the kitchen. 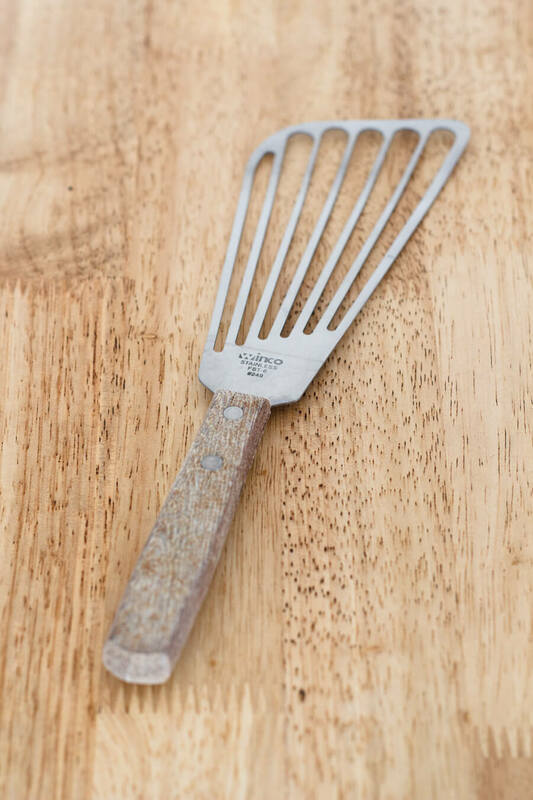 Obviously, from its namesake, this fish spatula is ideal for scooping up your perfectly cooked fish filet, but I use it as an all-around spatula. Cookies, meats, eggs, etc. 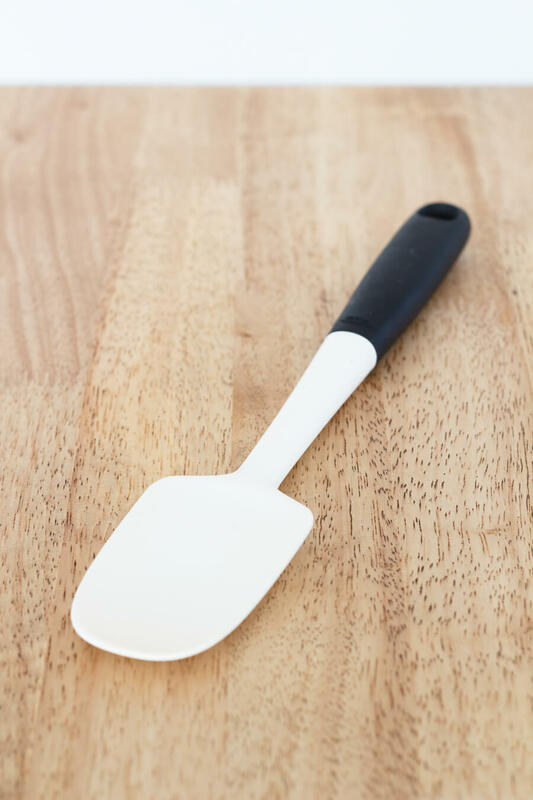 This spatula gets the job done! This was a recent purchase since I’ve been playing with a lot more cocktail recipes. However, I’m finding myself using it in everyday cooking and wondering how I’ve gone this long without it. 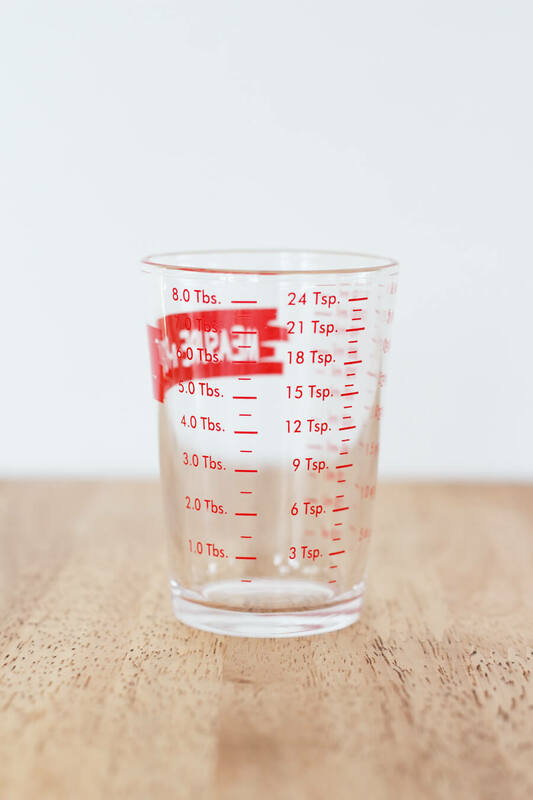 You may or may not know, but average measuring cups do not accurately measure liquids as well as a liquid measuring cup (read more about that here) I have a large 4 cup volume measuring cup, but for smaller measurements, this has been the best little purchase I made. Growing up, my mom had this awesome vintage handheld mixer, that I’m pretty sure was a wedding present. For most of my childhood that what I used to make cookies. I can still smell the burning of the motor as it did it’s best to mix up a batch of chocolate chips cookies. 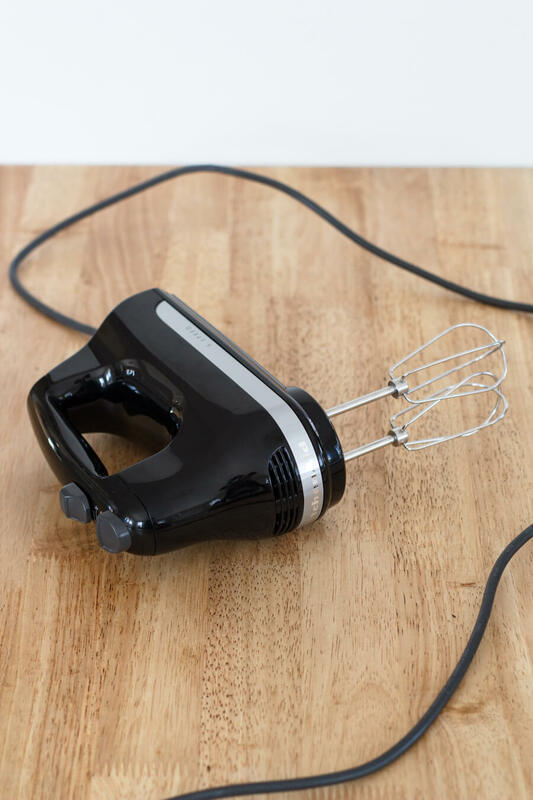 After a while, I convinced my parents to buy me a beautiful tabletop Kitchenaid mixer, but that handheld mixer still hung around… and we still used it when we were too lazy to pull out the heavy Kitchenaid mixer. Today, that mentality still remains. I still have that big white Kitchenaid for making a big batch of chocolate chips cookies, but more often than not, I reach for my handheld mixer for most jobs. It’s perfect for mashed potatoes, whipped cream, lighter frostings and anything that doesn’t require some muscle. When technology meets cooking, great things happen. This Range thermometer is one of them. 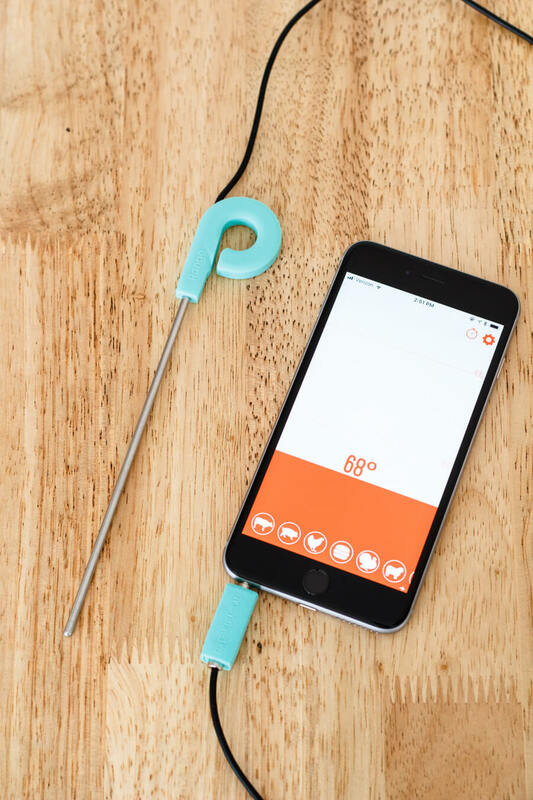 The long cord allows me to stick it in the oven to monitor what I’m cooking without continually opening up the oven. It lets you set alarms based on the temp you want your food to reach and it just looks cool, haha! This is an “essential”, that strangely isn’t really essential. In the way that most home kitchens don’t regularly have it on hand. 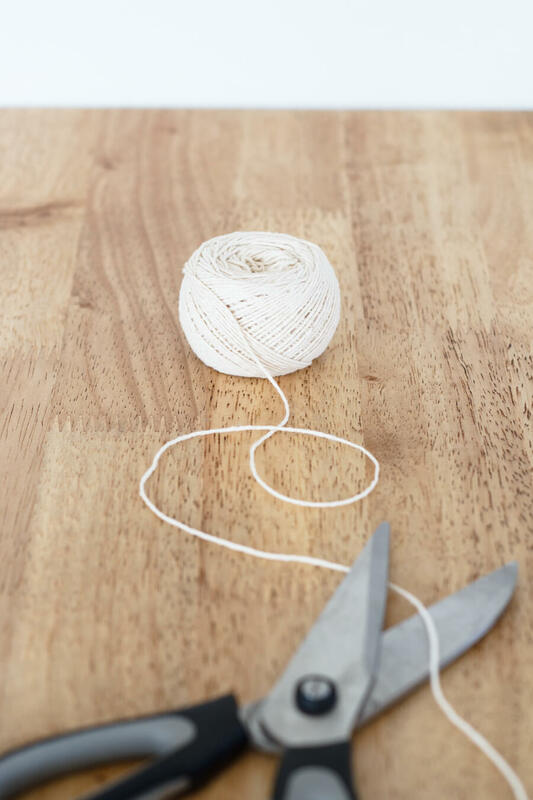 However, how many times have you made a recipe that suddenly asks for you to tie up some deliciously stuffed pork loin and nowhere in sight is the butcher’s twine… or maybe it’s just me. None-the-less, I finally went out and picked some up. From here on out, my kitchen will never be without. It’s one of the tools that you never think you need until you do! 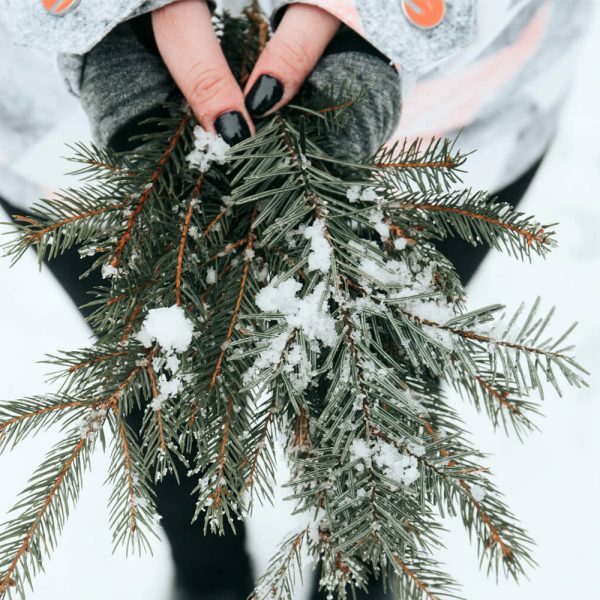 If you have a favorite tool that you simply cannot live without, I would love to hear about it! Share it with us in the comments below.